Audra Jennings: What if your worst mistake was really the best choice? What if your worst mistake was really the best choice? Marriage is serious business — both for the couple tying the knot and for wedding vendors, with the average cost of an American wedding topping $25,000. As budgets get stretched, so can fraying nerves and already-taut emotions, as captured in Beth K. Vogt’s new Destination Wedding series. In the first novel in the series, Crazy Little Thing Called Love (Howard Books/June 30, 2015/ISBN: 978-1476789781/$14.99), paramedic Vanessa Hollister thinks she has moved beyond the pain of her first marriage — a “what-were-you-thinking” teenage elopement — and is planning an elegant destination wedding in Destin, Fla., with her new fiancé. Her dream of an idyllic beach wedding is disrupted, though, with the sudden reappearance of her first husband. Storm chaser Logan Hollister is used to taking risks, but a reckless decision during the last tornado season has him questioning his career’s future. Coming face-to-face with his ex-wife eight years after their divorce compels him to confront his greatest regret: losing Vanessa. When a powerful hurricane throws Vanessa and Logan together, the pair battles unexpected renewed feelings for each other, and the two are left with a choice: Should they accept, once and for all, their teenage marital mistake? Or is God offering them a second chance at happily ever after? Vogt’s Destination Wedding series will explore the power of love and the possible mishaps and missteps that happen on a couple’s journey down the aisle. Vogt says she was ready to write something a little different. “So often in contemporary romance stories, the wedding comes at the end of the novel — often as an epilogue,” Vogt points out. “In this series, the wedding is a main plot point. And travel — who doesn’t love to read about new travel destinations?” Fans of Vogt are in for an extra treat; Vogt is releasing an e-short, Can’t Buy Me Love, on May 5, 2015 in which chic bride-to-be Bellamy plans the Manhattan wedding of her dreams. Vogt’s writing process always starts with a story question. For Crazy Little Thing Called Love, her question was: Is it possible what you thought was your biggest mistake was actually the right choice? “God’s best often waits behind the doors marked ‘never,’” Vogt muses. “Crazy Little Thing Called Love delves into the choices we make and asks, if we are given a second chance at love, should we take it?” Vogt says she hope readers will close the covers of Crazy Little Thing Called Love understanding that while a second chance in life or love might not be an automatic affirmation from God, it should be approached prayerfully and counted as a treasured opportunity. “Take the safe way or risk it all for love? In Crazy Little Thing Called Love, Beth Vogt takes her characters (and readers) on a journey where the choice must be made . . . readers will be reminded that God can turn our old mistakes into a beautiful present." 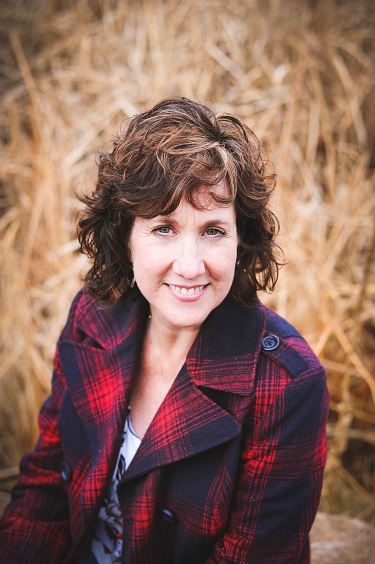 A 2014 Carol Award finalist, Vogt enjoys writing contemporary romance fiction because she believes there’s more to “happily-ever-after” than the fairy tales tell us. Her 2014 novel, Somebody Like You, was one of Publisher’s Weekly’s Best Books of 2014. 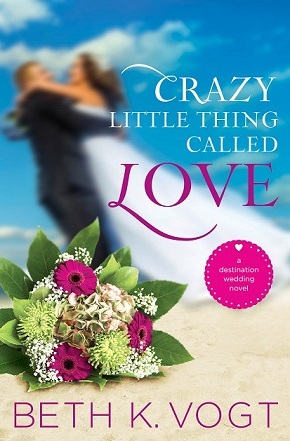 In 2015, Vogt introduces a four-part Destination Wedding series with the eBook, Can’t Buy Me Love, and her new novel, Crazy Little Thing Called Love. A magazine writer and former editor of the MOPS International magazine, Connections, Vogt is a part of the leadership team for the writing community My Book Therapy. She lives in Colorado with her husband, Rob, and their youngest daughter. To keep up with Beth K. Vogt, visit www.bethvogt.com, become a fan on Facebook (AuthorBethKVogt) or follow her on Twitter (@bethvogt) and Pinterest (beth_vogt).